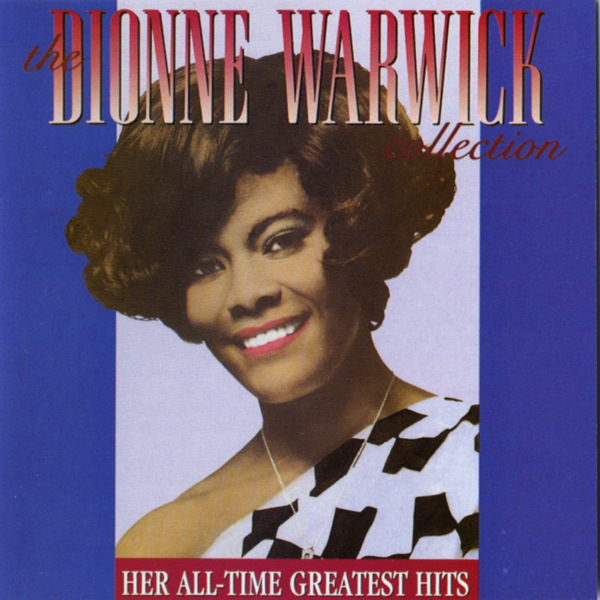 Unlike Springfield, her contemporary Dionne Warwick never released a critical establishment approved, “classic” album. The very few studio albums of hers I’ve heard tend to follow this not-uncommon-for-the-time formula: hits + covers of other people’s hits + filler. She is, in other words, a consummate singles artist, albeit one who became a star when most pop singers focused on singles rather than albums. Take a peek at her discography and you’ll find literally scores of compilations from various career phases (at age 73, she’s still recording). However, the best one on the market remains this collection, released by the awesome archival label Rhino Records twenty-five years ago. It’s twenty-four tracks in chronological order that cover her earliest, most hit-filled and creatively fertile period (1962-70), with all but two of them written by composer Burt Bacharach and lyricist Hal David. Although I was born a few years after 1970, this music was everywhere in my childhood. We had no Warwick records at home (oddly enough, my parents owned multiple Bacharach solo albums), so I must have heard these songs mostly in the car (on the adult contemporary radio stations my parents tuned into) but also in restaurants, at the barber’s, perhaps even in Muzak versions at shops and other public places. Some of the music we absorb as children inevitably fades from consciousness as we mature and take a more proactive role in what we listen to, in how we define and develop our taste. At age 21, something moved me to check this CD out of the library—I no longer remember what, exactly. For a few years, I had been making weekly pilgrimages to at least a half-dozen libraries (and just as many used record stores) in short because I wanted to hear nearly everything available in hopes of finding a new favorite that would lead to another and another, Ad infinitum. Maybe I saw the artist’s name and recalled her presence in my youth, or perhaps I recognized her influence on another compilation I was obsessed with at the time (to be written about here much later). Whatever the motivation, that summer I nearly wore out my dubbed cassette of this album. As with ABBEY ROAD a few years previously, it sounded like little else on my CD shelves and falling for it felt like walking through another door, one leading into a room that broke down my own perception of what’s hip or culturally acceptable (for a 21-year-old in the mid-90s, anyway). Often dismissed as “easy listening” (“pop vocal” is a more accurate, less negative catch-all term), Warwick’s songs are remnants of a past time. With exception of deliberate homages, no one makes music that sounds like this anymore; it wouldn’t surprise me to see any of these tracks pop up on an episode of MAD MEN, which covers roughly the same period. To me, they are the 1960s, or at least a very specific version of them—say, classier and more adult than Woodstock, as romantic as The Summer of Love but tinged by sadness. By the time I first heard this compilation, these sounds were undergoing an ironic revival in the guise of lounge music, although that doesn’t quite get at the core of what these songs represent. In any case, Warwick is a difficult artist to categorize: she’s not strictly soul or r&b, and she never was funk, jazz or rock and roll. She grew up singing gospel and although her delivery bears that influence at times, very rarely does she approach the genre’s intensity. She’s occasionally impassioned when the material calls for it, but as a rule, she underplays, almost effortlessly making sure you hear every single note (and subtle variation) of the melody. More than anything, she emanates sophistication and eventually, a maturity you heard from no other female pop singer at the time—not Diana Ross and The Supremes, not even Aretha Franklin. Warwick’s clarion tone naturally lent itself to the Great American Songbook a la Ella Fitzgerald (and this guy), but she took an alternate route by hooking up with Bacharach and David. The songwriting duo had met five years before, scoring hits for artists like Perry Como, Gene Pitney and The Shirelles. As with most Brill Building denizens, David’s lyrics applied the craft and erudition of a Broadway musical number to a three-minute pop song, while Bacharach’s arrangements and melodies were often more ambitious and intricate than that of the average top 40 hit. I could spend paragraphs technically examining how and why Warwick was the ideal vocalist for Bacharach and David’s compositions; a more constructive use of your time would be to simply listen to “Don’t Make Me Over”, their first song together. The opening orchestration, waltz tempo and choral background could be from any other 1962 hit single, but once Warwick enters the picture, singing the song’s title, everything clicks: her vibrant yet nuanced vocal, Bacharach’s suitably dramatic but tight, balanced arrangement and David’s direct, poised, proto-feminist lyrics (“respect me for what I am / respect me for the things that I do”, predating even Lesley Gore’s “You Don’t Own Me”). However, compared to everything else here, “Don’t Make Me Over” feels like the pop-song equivalent to a television series’ pilot episode. The single’s less popular follow-up, “This Empty Place” is sleeker by a considerable margin, with Warwick coming into her own by way of her nimble, seductive phrasing on the chorus. From there, the songs quickly grow in complexity and imagination. Decidedly non-rock instruments such as a staccato trumpet (the early masterpiece “Walk On By”) or a breezy accordion (“You’ll Never Get To Heaven (If You Break My Heart”)) respectively provide hooks and texture, while Latin-derived rhythms (especially Brazilian bossa nova) gain in prominence. By the time the comp reaches 1966, it’s as if Warwick, Bacharach and David have forged a new pop subgenre—call it international jet-set cool where only the most luxurious musical backdrops rule. “Are You There (With Another Girl)” illustrates how far they had progressed in four years. Over a crisp opening that solely utilizes electric guitar, piano and drums in lieu of the usual full orchestra, Warwick sings the song’s elaborate melody loud and clear. The full orchestra then appears, quietly in the second verse, shifting to a full-blast fanfare after the second chorus. By the final chorus, both Warwick’s tone and the music have intertwined, reaching a joint crescendo, only to gracefully back down for the coda, where the orchestra drops out and we’re left with swinging percussion, spry piano licks and a female chorus taking us home, the latter repeating gorgeous nonsense lyrics (‘bum-ba-da-de-ba-da-girrrlll”). As the decade wears on, what keeps Bacharach from sliding into Mantovani territory is his tendency to experiment and challenge himself. His arrangements become more complex, the time signatures get even trickier and the mood overall far more melancholy and wistful. Occasionally this connects with an audience (top ten hit “Do You Know The Way To San Jose”, tartly buoyed by its every last “whoa, whoa, whoa”) but more often results in something skirting the singles chart’s lower reaches. “The Windows of The World” wraps a variety of carefully employed foreign instruments around a melodically strange but soothing chord progression (it peaked at # 32 on Billboard’s Hot 100), while the peppier but still-hard-to-dance-to “Another Night” missed the top 40 altogether. In 1969, Bacharach and David went so far as to compose songs for a new Broadway musical, PROMISES, PROMISES, an indication of both their ambition and stature. Warwick scored hits covering two of its songs: the title track and “I’ll Never Fall In Love Again”; the latter contained the sort of sly lyrical twist (the “So for at least, until tomorrow” that precedes the song’s title in its last verse) only David would think of and arguably only Warwick could sell. While this collection more than effectively summarizes Warwick’s career to this point and illustrates her artistic growth, like most compilations, it’s not perfect. Of its two non-Bacharach/David songs, one can comprehend the inclusion of Andre and Dory Previn’s “Theme From Valley of the Dolls” because it’s a classic and her highest charting single of the period. Anthony Newley’s and Leslie Bricusse’s “Who Can I Turn To”, on the other hand, pales in comparison with everything else; it should have been replaced with “This Girl’s In Love With You”, a curiously absent top-ten hit. In fact, this anthology could’ve easily been a double CD as it misses out on a few great minor hits such as the oddly rollicking “You Can Have Him”, the deliciously satirical “Paper Mache”, and even bona fide standard “The Look of Love”. In 1992, Rhino released HIDDEN GEMS, a follow-up disc collecting many of these odds and ends (though not the glorious single “Odds and Ends”, alas). Since compilations are prone to artifices and imperfections that studio albums simply aren’t, we’ll see less of the former on this list. Sometimes, however, a compilation will just have to do, and for all its (relatively minor) flaws, this one contains an abundance of riches.